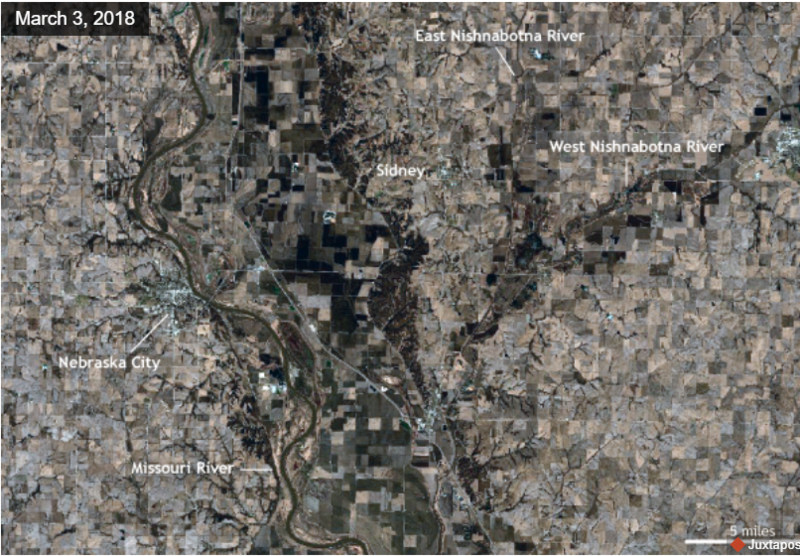 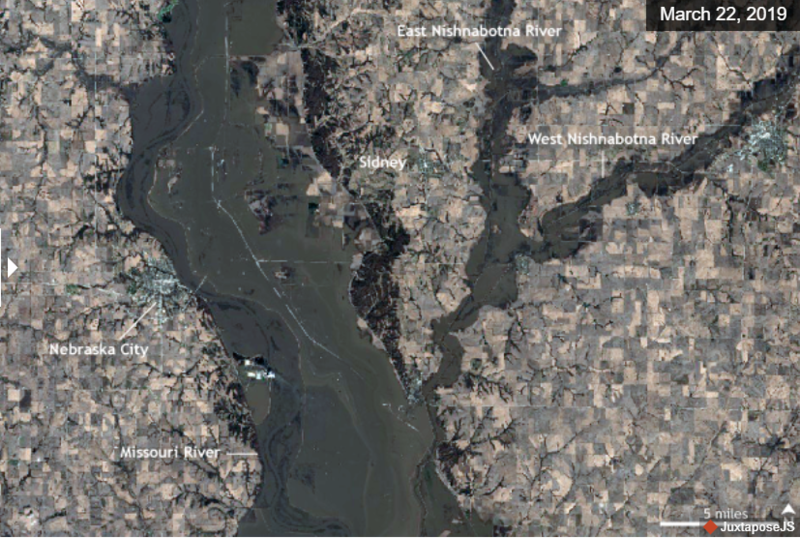 [NOAA by Tom Di Liberto] Widespread river flooding wreaked havoc as rivers burst their banks and inundated towns, cities, and farmland across the northern and central Plains in mid-March 2019. 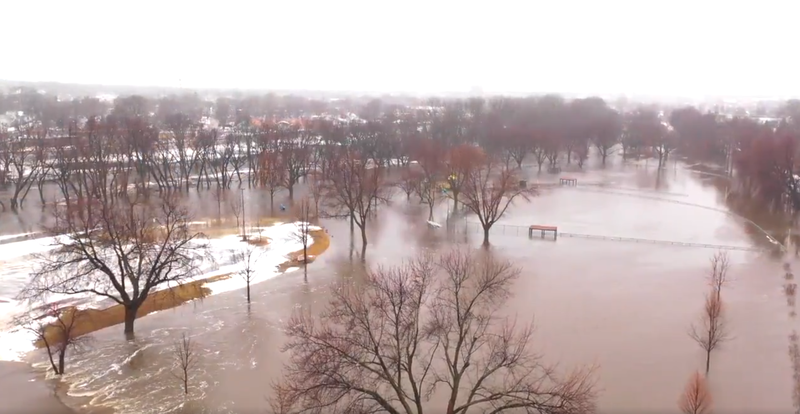 The March flooding may just be the first round in a potentially devastating spring flood season across the Plains as rivers are expected to remain elevated as spring temperatures rise and snow melts. 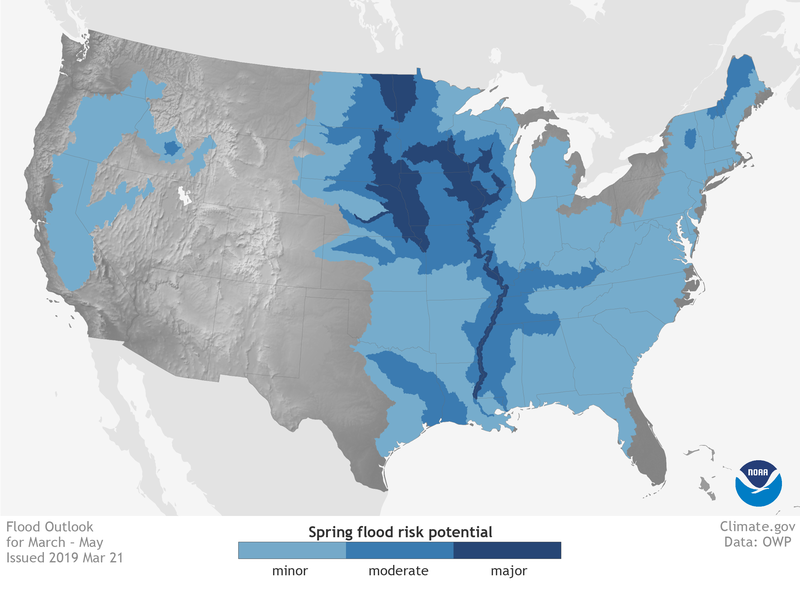 Be sure to check out the 2019 Spring flood and climate outlook. 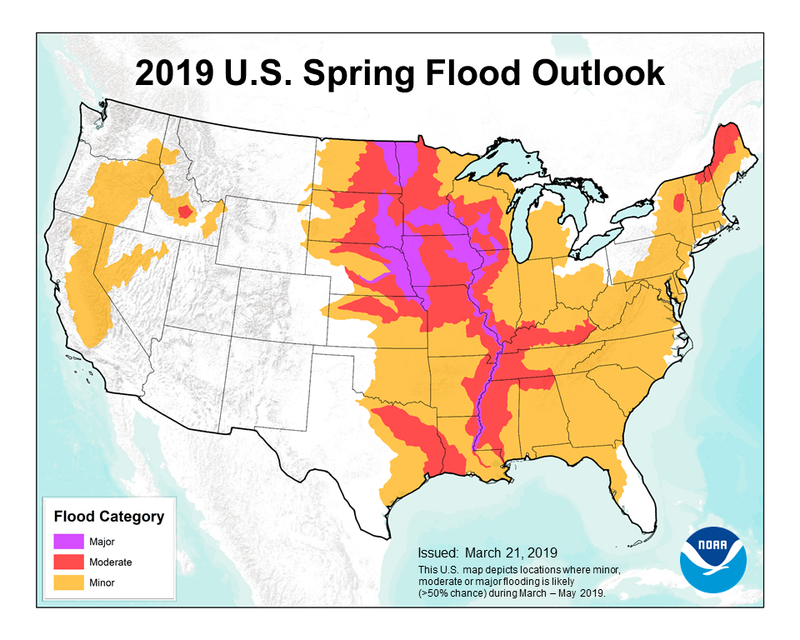 Thanks to the wet winter, moist soils, the current flooding and forecasts for a wetter-than-average spring, major flooding is expected across the Plains for the rest of the spring. 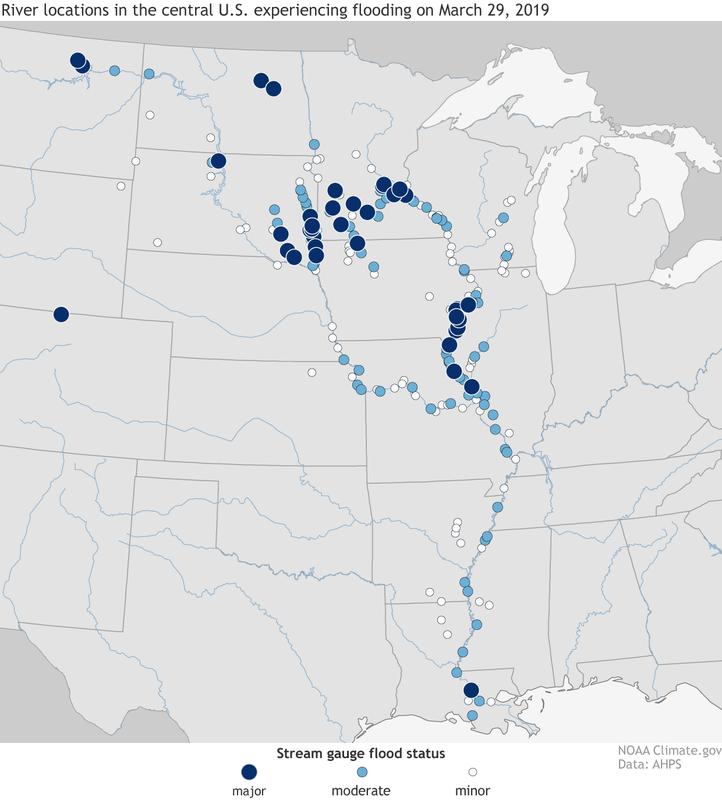 This includes major flooding along the Missouri River in South Dakota, Nebraska and northwestern Missouri, the Mississippi River, and the Red River Valley in North Dakota and western Minnesota.